Cellulite is a problem that needs to be addressed in a comprehensive way. It is important to adhere to a healthy diet, keep drinking balanced and at the same time exercise regularly and do not forget about cosmetic procedures. No matter how trite it may sound, there is no other way to achieve perfect skin. As for nutrition, first of all, it is necessary to reduce the consumption of sweets, flour, fried and fatty foods. During the summer, the period when the diet is easy to enrich with fresh fruits, berries, vegetables and herbs - you should take advantage of this. Vacuum suits that create pressure in problem zones (pressotherapy), massage, acupuncture, wraps, laser therapy and even surgical intervention for pumping out fat - modern cosmetology offers a lot of "lazy" ways to rid the woman of the hated orange peel look. Nevertheless, sports are still the most effective method in the struggle for harmony and beautiful skin. 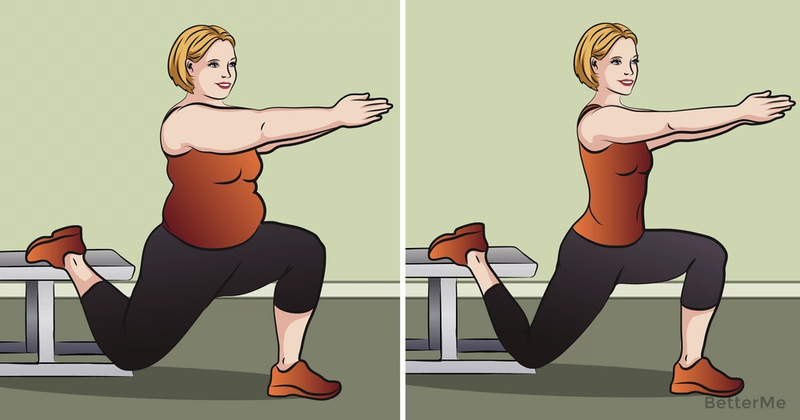 It is almost impossible to solve the problem of cellulite without exercise, because the storage of fat in the pelvic region and thighs is a natural mechanism associated with the woman's destiny to be a mother. The substances stored in this way will help the child survive in unforeseen situations, which means that they will accumulate all their lives while the woman remains fertile.